This text includes three full-scale enterprise level applications with 100 per cent source code. 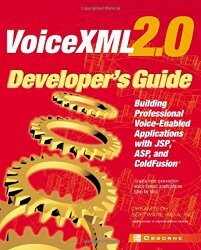 It covers VoiceXML with other technologies such as ASP.NET, JSP, Servlets and ColdFusion. Author: Dream Tech Software India Inc.